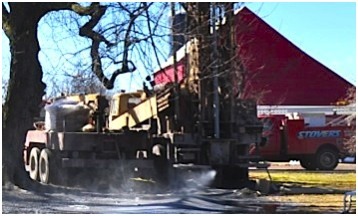 Stover’s Wells and Pumps offers complete water well installation and repair services in Central New Jersey. Our experienced team is poised to provide optimal solutions and expert workmanship to get your well working, and the clean water flowing. You can trust Stover's to give honest recommendations and affordable services in installing or repairing your water well. Stover’s combines state of the art technology with over sixty years of water well experience to give reliable service at a fair price. 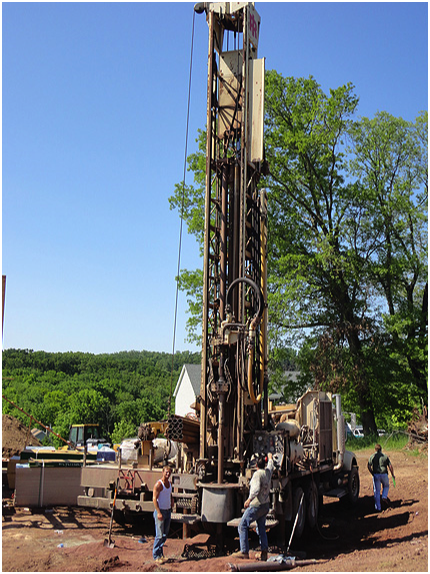 From well drilling and installation, to well repair, inspection and monitoring; Stover’s is Central New Jersey’s trusted source for residential and commercial water well services. Our professional team of experienced technicians will conduct a groundwater survey to establish the optimal location and depth for your water well. 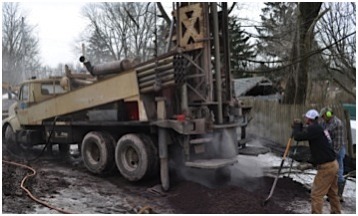 We utilize all our own drilling equipment and 3 generations of experience to get the job done right! We offer water well inspection services and will professionally diagnose your water problem, then provide recommendations for the most appropriate available resolutions. From well sealing, to casing repairs, to well deepening; Stover’s is fully equipped to get your well functioning and keep the clean water flowing. Our customers are often surprised when we tell them that their water access problem is not a complex well malfunction. Very often the complication they're experiencing is the result of a simple pump or water tank issue. In some cases, correcting the problem is as simple as adjusting or replacing a simple valve! Click the following link to view a useful diagram illustrating the basic elements of a water well. We've learned a lot of valuable lessons being in business for 68 years. Chief among these is that our loyal customers keep us in business. They’ve provided for 3 generations of our family and generate valuable referrals that have allowed us to thrive and grow. Appropriately, we strive to achieve total customer satisfaction on every project. 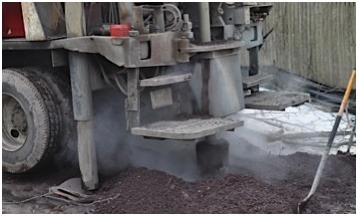 Our longevity is the direct result of our longstanding commitment to quality work and customer service. Honesty, Quality Workmanship and Customer Service: Call Stover’s First! We pride ourselves in our phone support when you have a water emergency. Our experienced office staff is often able to diagnose a problem and recommend appropriate action over the phone! Stover’s Wells and Pumps provides a wide array of water supply and water quality service. Learn more about our pump and water conditioning services. Stover's Wells and Pumps provides expert well services in Central New Jersey, including: Hunterdon, Mercer, and Somerset Counties. Learn more about our well, pump, and water conditioning services.